Meet ‘Django’ and ‘Cassidy’ – two truly unique and lovingly restored 1960s Volkswagen Kombi Vans. From wedding car hire to Adelaide wine tours, this duo will get you to your destination in style! 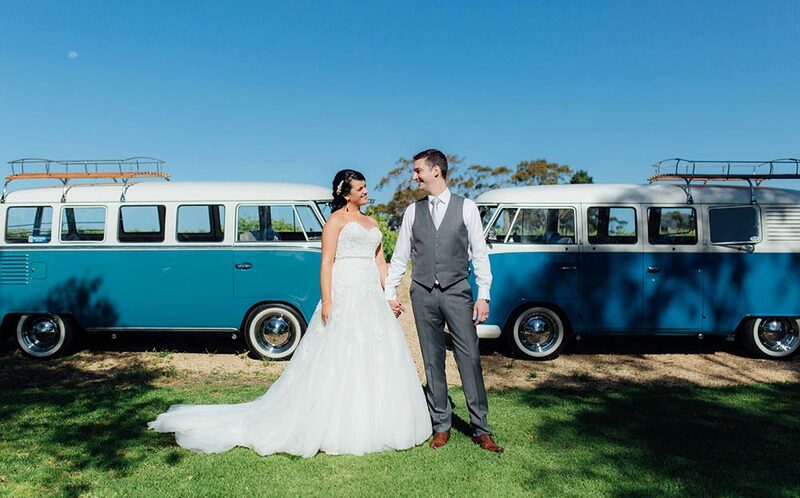 Our VW Kombi’s feature unique opening front windows (makes for gorgeous photo ops! ), Porsche wheels and deluxe classic kombi interiors. 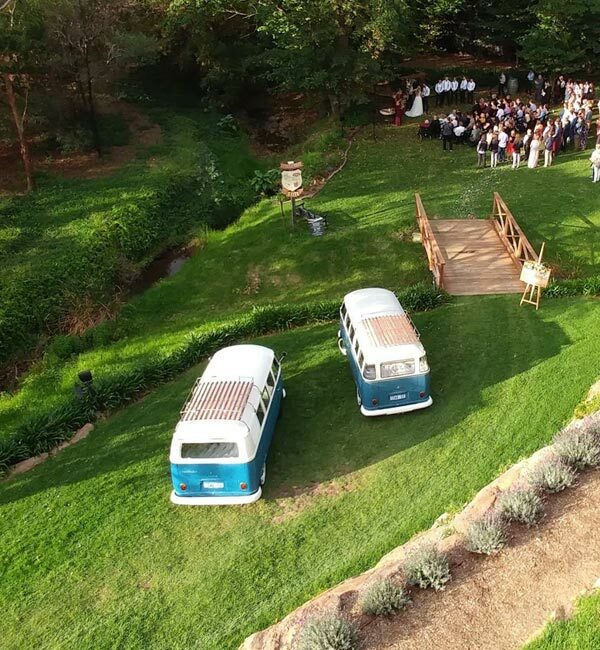 We know how to have a good time and therefore all vw kombi hire comes complete with a licensed and experienced chauffeur, iPod & iPhone connectivity, esky and red-carpet! Both of our Kombi’s have been lovingly restored with a crisp blue and white exterior and a classic vintage grey interior. This neutral colour scheme makes them the perfect duo for all events. Django and Cassidy can seat 6-7 guests (8 including your licensed chauffeur) which makes transporting your large wedding party or group a breeze. Kombi Cruise was born out of our love for Volkswagen Kombi Vans. We have been living the “kombi dream” for over 30 years, surfing the Australian coastline, playing in bands and restoring the magic that is the iconic Volkswagen Kombi Van. This is why you can always expect 5 star quality and service when hiring one of our Kombi Vans. We love nothing more than being a part of our guests special days! Contact us for a quote. Our Kombis have been featured in many magazines and tv programs including TopGear in the UK, ABC TV, Sunrise Channel 7 and won numerous trophies and awards.